I've been feeling the need for a little break from the daily routine. Taking a couple of days in the Fall to do something out of the ordinary has become a habit in itself. After a summer of hosting visitors, working almost non-stop in the garden, driving to baseball practices and tournaments, and family vacations that still include cooking, dishes, laundry, etc., I can start to feel worn out by the time I've gotten my family back into the school-year routine. In the past the cure for that has usually been a weekend backpacking trip or a knitting retreat with a friend. This year I hadn't planned anything and by October I realized how much those interludes mean to me in terms of providing an attitude adjustment. I felt like I was just going through the motions of those same activities I usually value. So, when my husband offered to cover for me on the home front for a couple of days, I packed and left before he could change his mind. It felt selfish, but I went and took advantage of his offer, knowing I would come back refreshed, with my mom-battery recharged. 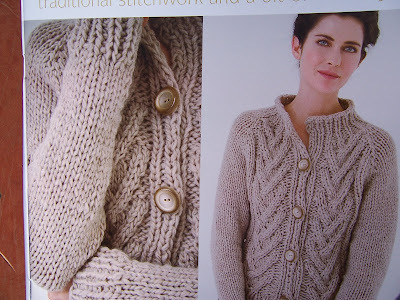 I was also excited to see that the Cascade Ecological Wool is about the right gauge for this Branching Cables sweater. 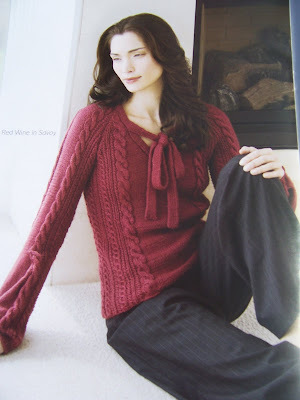 If I substituted this yarn the entire sweater could be made for less than $30.00. 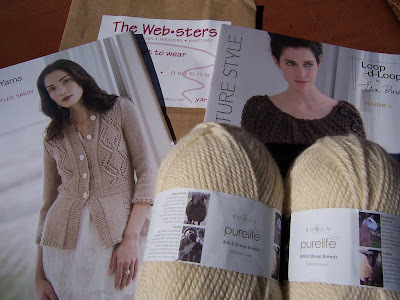 I resisted buying the yarn though, as I am still trying to finish old projects and destash before Stitches West 2010. 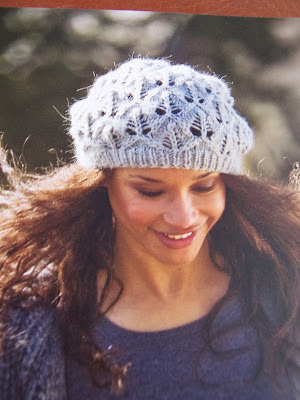 It is the Montera Hat by Pam Allen, from the same pattern booklet as the Lace Pullover I'm currently working on. 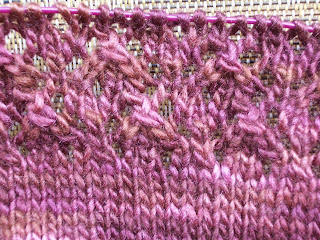 I've admired versions of it by other kntters, but hadn't really thought to make it for myself as I find the alpaca yarn called for in the pattern quite itchy. But, the Bluefaced Leicester yarn is the right weight and soft enough for me. The lace knitting, combined with all the work that was waiting for me when I got home, has put the brakes on my knitting progress since I got back. But I still think I am on track to get through my list before the next Stitches. 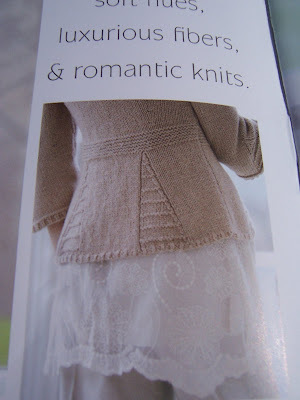 My visit to Ashland felt like a preview of the knitting getaway Stitches will provide. However, if that was just the preview, the real thing next February will be even more fun, because it will be shared with friends.